how to: christmas snowman nail art! well I couldn't do a christmas nail month without painting some snowmen..
so here's my latest festive offering; frosty the snowman eat your heart out! so here is the basic step by step you can follow! first off I painted a base of beth's blue from models own and then got out my nail art pens for the following details.. This is possibly my favourite so far! Can i ask what nail pens you use? I have some but they're pretty rubbish and you always get such fab results with yours! THese are amazballs! OMG why cant I not do nailart like you?? :( I love every nail art you ever do! 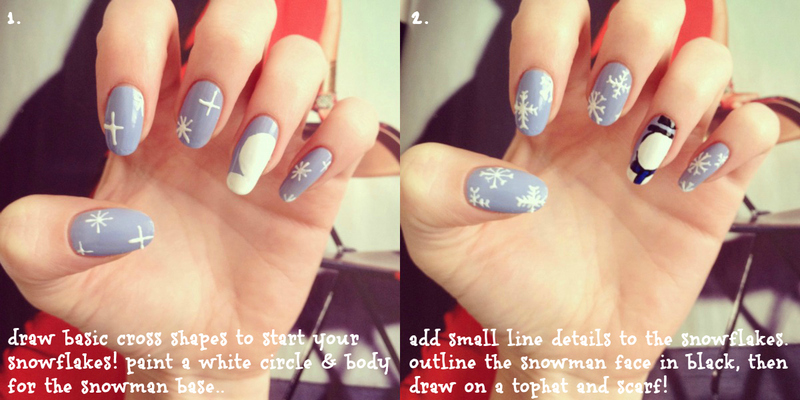 I made the christmassy nail art too..